Writing and publishing a book is a huge (and wonderful) undertaking – and you’ll want all the help you can get. There are loads of great downloadable tools out there for book authors, like Scrivener (for writing), Calibre (for producing ebooks) and KDP Rocket (for finding good keywords to use on Amazon). But in this post, I want to focus on online tools – ones that you can use through your web browser. Do you ever struggle to find the right word? If a traditional thesaurus isn’t helping, try using Visuwords, which shows you the links between different words (including opposites, related topics, and words that derive from your original word). It might just help you find the perfect word or phrase when you’re struggling. 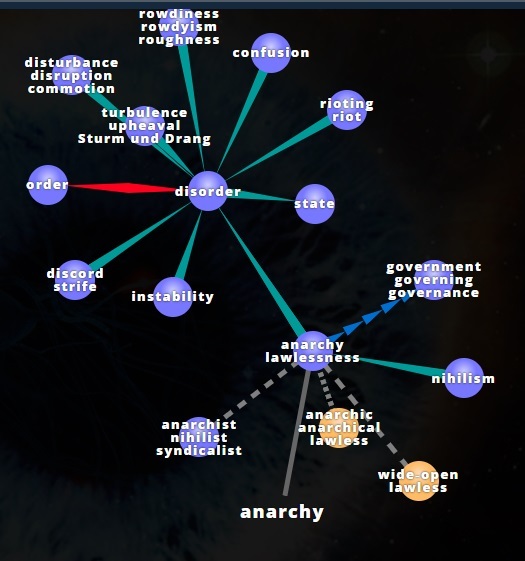 The map above shows the word “anarchy” and related terms. Tip: By running your cursor over a word, you can view a definition – and you can double-click a word to see its related words on your map, too. It can be tricky to spot which words come up just a little too often in your own writing – but if you keep using the same ones again and again, readers will start to notice. That’s fine if you want to repeat a particular word for effect, but problematic if it’s unintentional. Tip: There’s also a WordPress plugin version of the tool, which you might want to use if you’re writing blog posts – either to check for words that you overuse, or to check if you’ve included keywords as much as you wanted to. 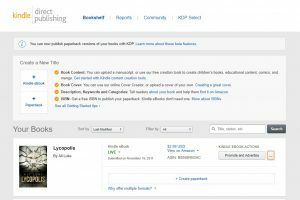 Smashwords is a tool for self-publishers to format and distribute their ebook(s) to readers through a variety of different platforms (such as through Apple’s iBooks stores and through the Kobo store.) They offer loads of advice on self-publishing, too, particularly through the Smart Author Podcast. You can also sell books through – and indeed buy books from – Smashwords itself. Most authors, though, use it primarily as an easy way to get their ebook into lots of different online stores. The one big exception is Amazon: you can’t easily get your book onto Amazon through Smashwords. That’s not too much of a problem, though, because Amazon’s own system (KDP – Kindle Direct Publishing) is straightforward and easy to work with. We’re going to cover that in a moment. It’s completely free to create an ebook through Smashwords, but Smashwords will take a small commission on each ebook you sell – and the stores you sell through will also take a cut. Tip: You need to format your manuscript carefully according to theSmashwords Style Guide. If you don’t, it’ll either be rejected, or you’ll find that it comes out looking a bit weird! Amazon is the biggest ebook retailer there is … and they make it pretty straightforward to add your own ebook to their vast catalogue. You can sign up for KDP using your existing Amazon account (or you can create a new Amazon account). Tip: Before Amazon can pay you, you’ll need to enter your tax information. You don’t need to have this to hand to start selling your ebook(s), though. As with KDP, you can use your existing Amazon details for CreateSpace. You don’t need to pay anything upfront to publish a book through CreateSpace – but you’ll find that the printing costs eat up a fair percentage of the cover price. The paperback version of my novel Lycopolis, for instance, is priced at $12.99 in the US; I get a royalty of $3.32 on each copy sold. Tip: Although CreateSpace offers a “cover creator” so you can design your own ebook cover, it’s not the greatest tool to work with. If you just want to publish a print version for your personal use, or perhaps to give to a few friends, it’ll do – but I’d avoid using it for a professional-looking book. Once your book is up for sale, the hard work really begins! Marketing a book, whether fiction or non-fiction, is a huge task … but these online tools can give you a helping hand. If you haven’t already signed up to Amazon’s Affiliate scheme, I highly recommend doing so. You can earn a little extra on books you sell via your affiliate links (and you’ll be able to track how many sales you’re making through your own website, tweets, etc – as opposed to sales you’re getting through other channels). Unless your book is very specific to a particular country, you’ll probably be selling it worldwide, on different versions of Amazon’s site. Ideally, you want potential new readers to land on their version of Amazon. That means using a special link that can direct readers based on their location. And that’s where A-FWD comes in. 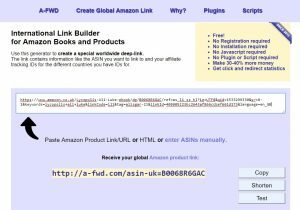 Just paste in your affiliate link – the full version, not the short one – from your local Amazon, and you’ll get a single link that should direct readers to their Amazon (regardless of whether you have an affiliate account there or not). Tip: If you have affiliate accounts for more than one version of Amazon, make sure you paste those in under “Tracking IDs” (or you may find that your affiliate sales don’t get counted). At some stage in your author journey, you’re going to want to have a website or a blog. WordPress is a great way to build either. You can opt for WordPress.com aka “hosted WordPress” (which is easier and cheaper to get started with, but more limited) or WordPress.org aka “self-hosted WordPress” (which offers lots of flexibility and full control, but has a slightly steeper learning curve and means paying for a domain and hosting up-front). There’s a handy summary of the differences on the WPBeginner.com blog. Keep in mind that you don’t have to blog as an author – you might simply want to use WordPress to create a straightforward websites that showcases your books. 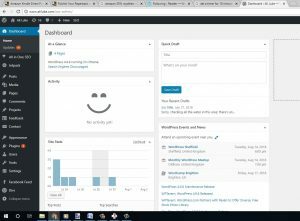 Tip: You can set up a completely free blog using WordPress.com, so if you’re feeling a bit daunted by the idea of blogging (or having a website), why not create a “practice” one so you can try it out? If you read any blogs aimed at book authors, one key piece of advice you’ll come across is to “create a mailing list”. This allows you to email interested readers who’ve signed up to receive updates from you. You might think you could simply email readers through your regular email account – but this is a really bad idea. First, it means collating email addresses manually, which is an administrative headache. Second, and most importantly, it could easily see you falling foul of laws like CAN-SPAM (in the US) and GDPR (in the UK). There are plenty of online tools, though, that you can use to create an email list: readers can sign up and get added to the list at any time of the day or night, and you can create nicely formatted emails to send them. 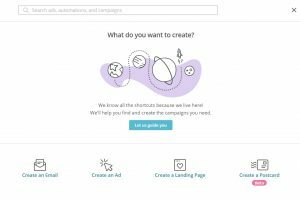 I’ve chosen MailChimp here as it’s free up to the 2,000 subscriber point … but there are plenty of other good options, like Aweber and Constant Contact. Tip: Email marketing, like blogging, can seem very daunting at first. Do give it a try: you can always set up a small mailing list with just yourself (and maybe a couple of willing family members or friends) on it, so you can test out your emails before sending them to readers. You can use Canva to create almost anything that involves images and graphics – from book covers to posters, leaflets, and designs for Facebook, Instagram and other social networks. If you’re not yet at the stage of your author career where you can afford a professional designer, Canva could be a great option for you. 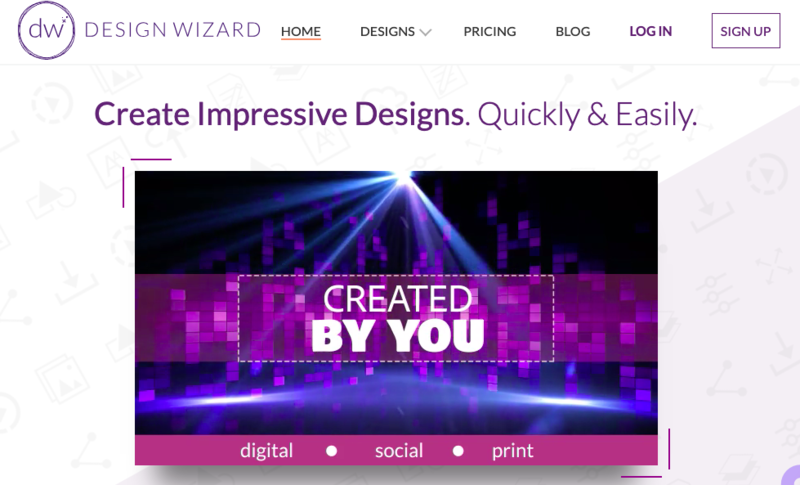 There are lots of premade templates that you can use and thousands upon thousands of images – creating the perfect Facebook cover or business card could be just a few clicks away. Note that not but all images are free: you’ll need to pay $1 in order to use some of them. 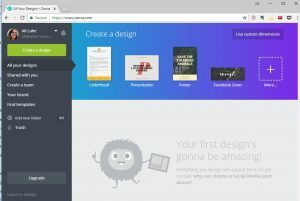 Plus, some of Canva’s features (like being able to use your previous designs as a template) are only available at the premium, paid-for level. Tip: While Canva is a great way to create promotional materials, it’s still a very good idea to go with a professional designer for your book cover itself (unless you’re an artist/designer and know what you’re doing). NovelRank lets you track your sales across different Amazon sites (.com, co.uk, .fr, etc). It tells you where your book ranks in the charts, estimates sales made, and more. 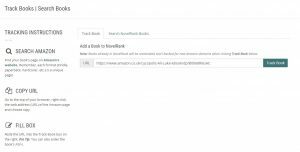 It’s free to use at the basic level – in fact, you don’t even need to create an account if you only want to track one book. Note that NovelRank can only show your sales from the point at which you set it up, as Amazon doesn’t provide historical data. Tip: As well as NovelRank, there are plenty of other tools that offer similar services, like BookCore (which is more basic, but works across multiple platforms). DesignWizard is another tool you can use to create the graphical assets of your book, including its cover and related marketing material. You will find that it offers virtually all the features of competing solutions while charging a lower price for the premium plans, so it is worth to check it out. I hope you’ll find the above tools helpful in your own journey to publication. Don’t feel that you have to use or even try all of them: pick and choose based on what you need right now, and take things step by step. Best of luck with your book! Check your resources. CreateSpace is closing and moving all to KDP. The word has intuitive meaning to the British, who grew up with such texts. But in American math texts, word or story problems don’t begin with the construct “Problem:” The word has no intuitive meaning for us. We’ve fallen in love with it, however, and decided to use it extensively, even if we don’t know what it means. The answer to the problem, by the way, is three.